Marketing agency Midnight Oil has launched a new influencer marketing campaign for Lenovo™. The agency has produced a series of original content videos starring prominent social media personalities. 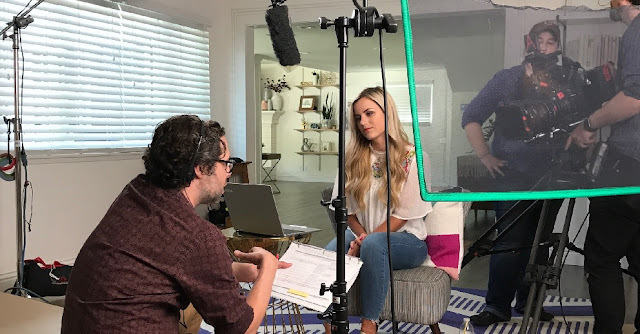 Leveraging over 400K engaged social media followers, the talent featured in Midnight Oil’s campaign includes Nerdist News’ Kyle Hill, fashion designer/scrapbooker Amy Tangerine, and woman’s self-empowerment blogger, Jenna Rammell. In a series of “how to” videos designed for the influencers' audiences, the influencers showcase their craft while using the Lenovo Yoga™ 720 and its Windows® 10 features, such as intuitive optional pen input with Windows Ink™. The influencers debuted the original content on their social media channels, which Lenovo amplified with paid media buys. “We understand the need to establish a meaningful connection between the Lenovo brand and its audience”, said Brandon Gabriel, EVP, Business Development at Midnight Oil. “The creation and strategic distribution of highly relevant, on-brand, custom content is important in achieving this goal”. The episodes produced by Midnight Oil include Kyle Hill’s “How to Create an Episode of Because Science”, Amy Tangerine’s “How to Create Inspirational Lettering” and “How to Design a T-Shirt”, and lastly, Jenna Rammell’s “How to Plan a Healthy Birthday Party”.